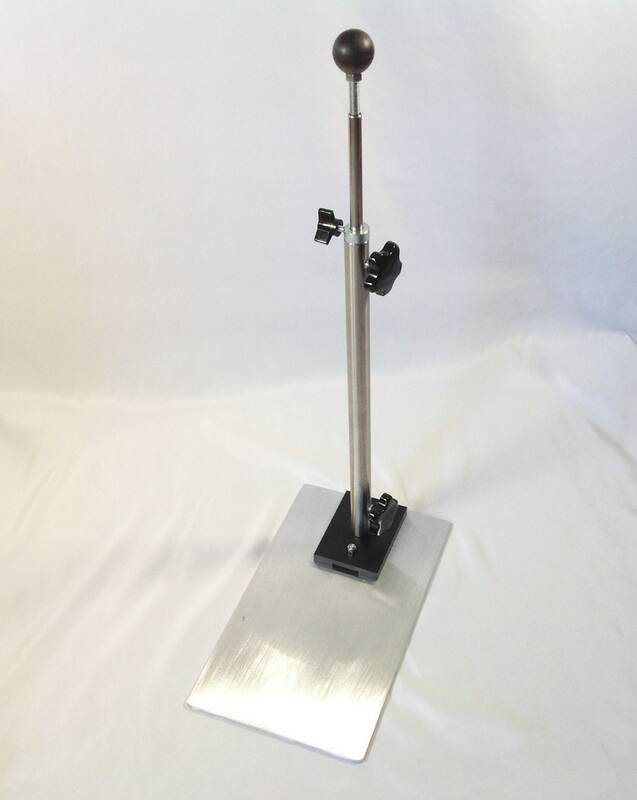 This metal stand is an add-on to use with the ball and socket rug hooking frame that I sell. 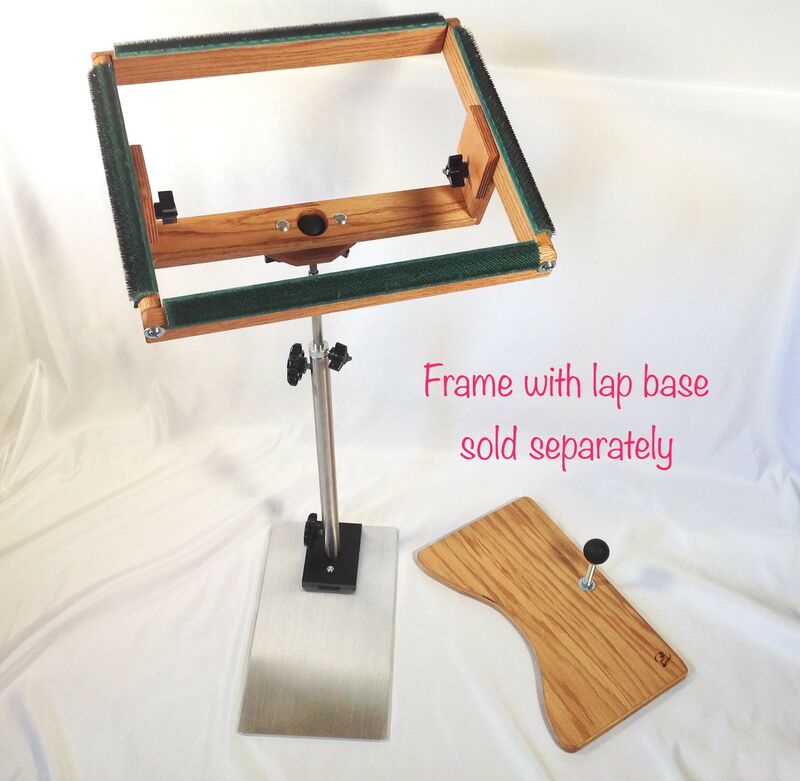 If you would like to sit up to your frame instead of holding it on your lap, this stand will allow you to do that. 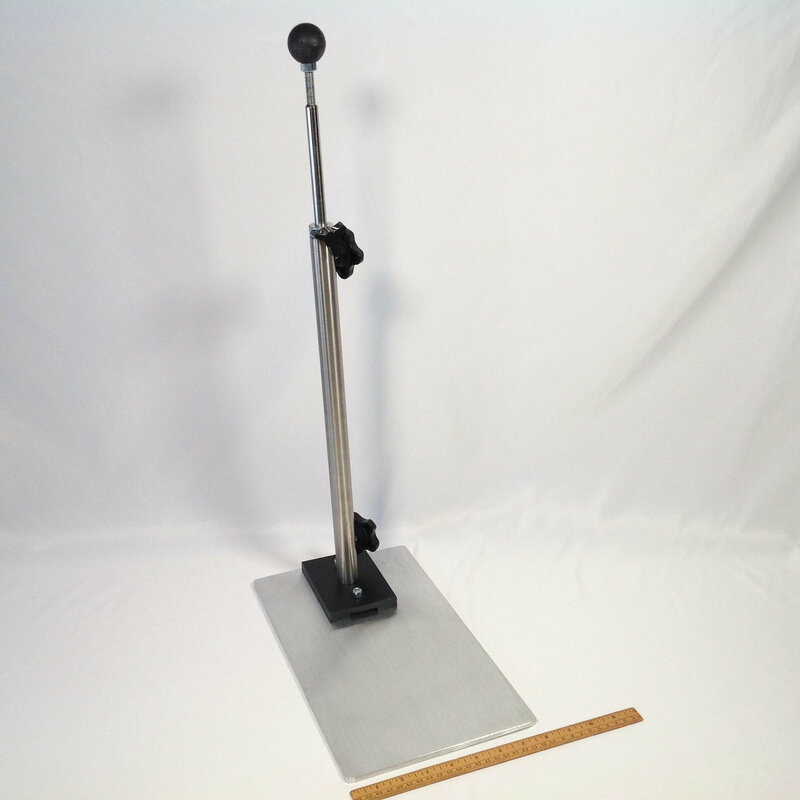 It comes with a ball top and is adjustable in height from 25" to 35". The base plate measures 8" x 14" and is 1/4" thick so it can slide under sofa or chair. The ball and socket allow the frame to swivel 360 degrees and tilt and turn in any direction. To use with the rug frame, just release the lap stand and attach floor stand. Thank you for visiting. Please feel free to contact me if you have any questions.